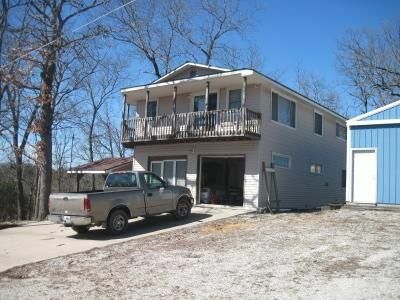 1st tier home at Pomme de Terre features 3 bedrooms, 1.5 baths living room, kitchen and utility room. This home has 2 stories and a detached 20x30 garage. There is also a 10x16 shed with electricity andf a 10x16 pavillion. It has a concrete septic and central heat and air. The property borders the Corp of Engineers land and there is a path to the lake and a partial view of the lake. Located in the Carson's Corner area. 11' 7"	x	15' 5"
10' 10"	x	13' 1"
10' 9"	x	17' 2"
13' 10"	x	15' 8"
13' 2"	x	12' "
12' 10"	x	12' 2"
Please provide more information about Listing # ARE8735.